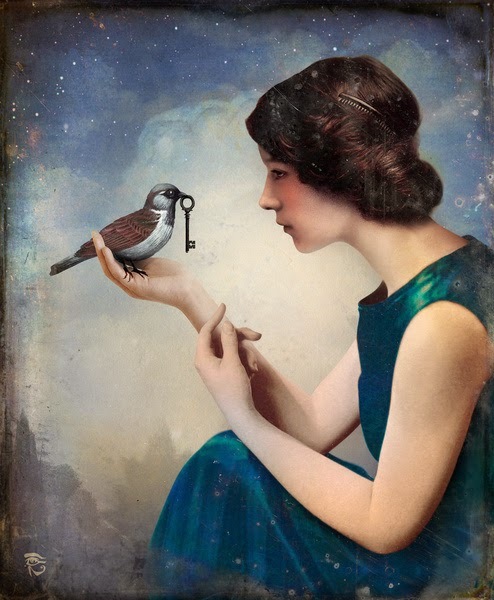 This is an artwork by Christian Schloe. Our room was located at the same corridor as the seminarians. There was a wifi spot near the cr and two seminarians regularly love to stay there. Let us call them Muymuy1 (there is Muymuy2) and Daydreamer. They were the same seminarians in my previous post - http://www.berylbaterina.com/2014/01/love-so-divine.html. I think they are buddies and Muymuy1 is the concerned individual. He seemed to be guiding Daydreamer. Anyway, I overheard Muymuy1 telling Daydreamer that "it is not too late to stop." I was not eavesdropping. i just happened to pass by them when I went to the toilet. When I heard that phrase, my imagination became active. My mouth was on silent but my thoughts were not. I was thinking what was it they were talking about being not too late to stop. Actually, there was only one subject in my mind. Lifelong journey. I will stop there and not be more specific. Let us just continue praying to all who are in the formation, that they may be able to discern where God wants them be. May they be able to feel where they can serve the Lord better and become closer to God. I want to remind myself that I must do what I really wanted. That is why I kept asking myself, "What is my greatest desire?" Still, it is a very challenging question for me. Maybe I am still not improving in the large part of my prayer life. I think one reason why I am having a hard time praying because I do not know what to pray. They said that it is okay to be be with God and have nothing to say. But to me, I think that has been my consistent prayer. I ask God for some "essential" things. But I felt that I am praying for it because I have to and I need it. I do want it, I guess. But there are other things that make me hype. Maybe this is the grace that I need to ask from God. The grace to know my greatest desires. There maybe some that comes to my mind right now. Those are my desires, but not really my greatest desires. It is not too late to stop... Not too late to stop doing things (that I don't really want) other people are expecting me to do. One more thing. Enough is alright for me.